2016 Isle of Man TT RL360 Superstock Results | Hutchy Strikes Again! Home Motorcycle Racing News Isle of Man TT 2016 Isle of Man TT RL360 Superstock Results | Hutchy Strikes Again! The BMW S1000RR has dominated since the 2016 Isle of Man TT began, the Bavarian inline-four leading all Superbike and Superstock practice/qualifying sessions. The RR’s strength continued during the opening race of the 2016 Isle of Man TT – Saturday’s RST Superbike TT. Hawk Racing BMW’s Michael Dunlop shattered both the lap and overall race time records, the Northern Irishman total TTs now up to 12. Dunlop’s Superstock MD Racing BMW S1000RR was equally as strong as his Hawk Racing BMW, but luck wasn’t on his side during Monday’s RL360 Quantum Superstock TT. 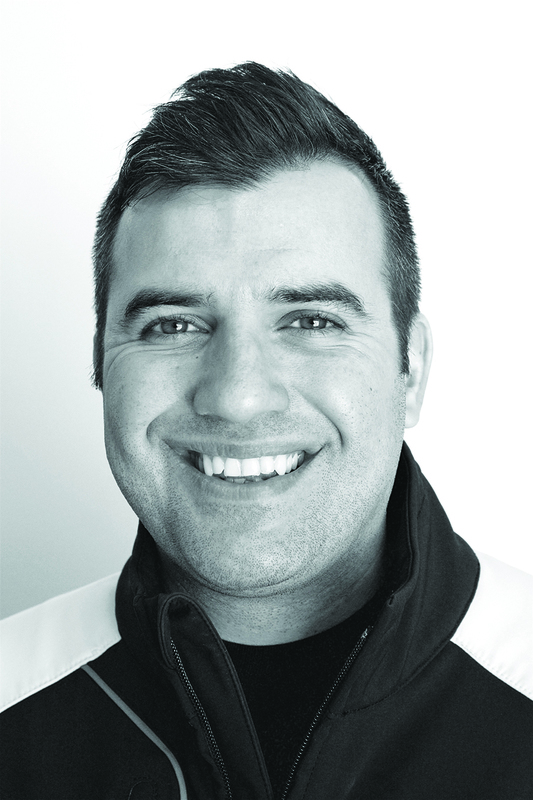 While in second, Dunlop experienced a broken transmission gear lever. He was forced to not finish; earlier in the day during the Monster Energy Supersport 1 race, Dunlop had originally finished second, but was disqualified due to technical infringement. Dunlop was a threat, but not nearly as vicious as the man who won Monday’s Superstock TT – Ian Hutchinson. “Hutchy,” who also earned a record-breaking win during the afternoon’s Monster Energy Supersport 1 race (CAME EPT Yamaha YZF-R6), claimed the Superstock victory aboard his Tyco BMW, which also topped Superstock qualifying. Want more? 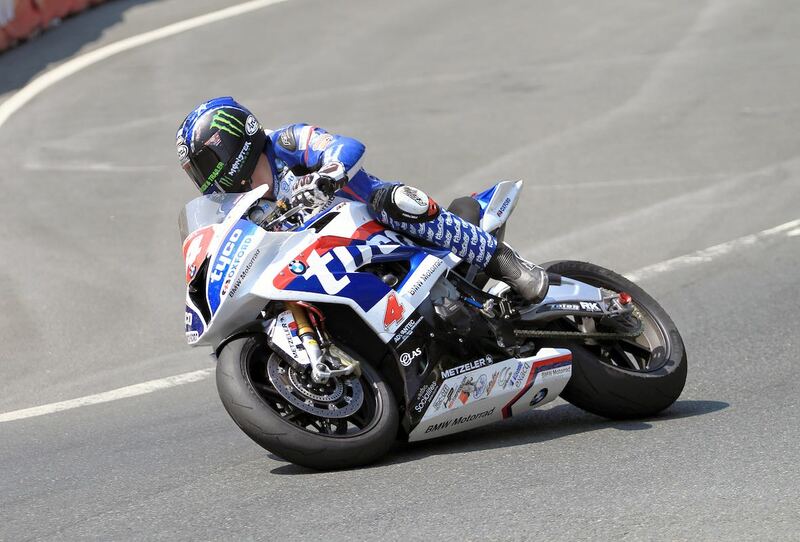 Visit Ultimate MotorCycling’s Isle of Man TT page. Hutchinson earned his 13th-career TT by 27 seconds ahead of Silicone Engineering Kawasaki’s Dean Harrison. Earning the final podium position by just a second behind Harrison was Quattro Plant Muc-Off Kawasaki’s James Hillier. Hutchinson’s first lap was 133.098mph – clear ahead of last year’s outright lap record set by John McGuinness (Honda Racing CBR1000RR, Senior TT), and faster than his S1000RR in the RST Superbike TT. Hutchinson continued to put distance on the grid, earning over two seconds after the first of four laps. After Dunlop’s lever issues, Hillier was on the move followed by Harrison, Team Penz13.com BMW’s Gary Johnson, and East Coast Construction BMW’s Lee Johnston. With Dunlop out, Hutchinson now had a 24-second advantage over Hillier, and his lead increased to 32.7 seconds after posting a 132.93mph second lap! Harrison remained in third, followed by Johnston, Batham’s SMT Racing BMW’s Michael Rutter, and Team Penz13.com BMW’s Gary Johnson. Unfortunately, Valvoline Racing by Padgett’s Motorcycle’s Bruce Anstey (RC213V-S) and GMmoto Racing Kawasaki’s Peter Hickman were forced to retired. Also having trouble was Devitt RC Express Racing Kawasaki’s Ivan Lintin, who suffered a pit-lane speeding penalty, dropping him back a few places. With a dominating lead, Hutchinson was able to control the Superstock TT, and not worry about outright speeds. He went on to win after two “slower” laps just over 129mph. The battle for second intensified between Hillier and Harrison, with the latter able to capitalize on his Ninja ZX-10R’s performance. Hillier would finish third, ahead of Rutter and Johnson. As for 23-time TT winner John McGuinness, the “Morecambe Missile” finished sixth aboard his BET Victor Honda CBR1000RR SP Fireblade. Rounding out the top 10 were Conor Cummins (Valvoline Racing by Padgett’s Motorcycles Honda); MSS Colchester Kawasaki’s William Dunlop; Fleetwood Grab Services BMW’s David Johnson and Jackson Racing Honda’s Steve Mercer. As for America’s Mark Miller, the Splitlath EBR pilot finished 23rd. With his second TT win of 2016 Isle of Man TT, Hutchinson has now moved to the top of the race for the Joey Dunlop Championship with 70 points. Harrison moved to second with 47 points, and Michael Dunlop is third with 45. The IOM TT reports that Dan Hegarty was again the top privateer in an excellent 11th place. Horst Saiger was the second privateer home in 13th overall with Jamie Coward third and 14th overall. Hegarty leads the overall privateers table with 50, followed by Coward with 47 and Saiger with 46.